As everyone knows from watching The Biggest Loser, an aesthetic makeover takes time, dedication, lifestyle changes, and corporate sponsored products that'll totally kill you if you're phenylketonuric. 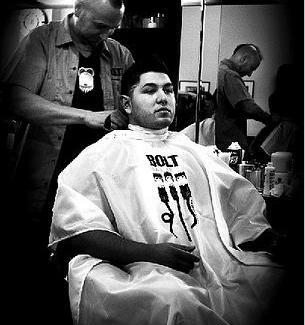 For an aesthetic makeover that's slightly less risky, hit Big Sundays at Bolt. Just announced, Big Sundays are once-monthly, ticket-holder-only events at the retro'd out downtown barbershop, dedicated to upping your all-over style ante, but not your all-over style Auntie, 'cause Vickie is already crushing it in spandex and high boots. The deal costs just $50 (normally worth three times as much), and is all-inclusive, with a haircut, a straight-razor shave, and a shoe shine; also included's a session with a custom suitmaker from longtime haberdashers Tom James, whose word is (not quite) Bond. To ensure you're alright getting sartorially fondled, they'll also be serving complimentary whiskey, as well as doling out high-end cigars, so you can get that perfect-fitting suit, then immediately take it to the dry cleaners. 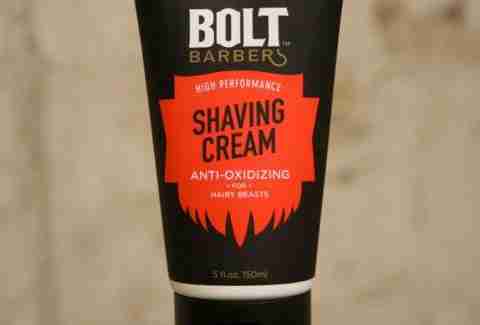 As an added bonus, all attendees also get a gift bag with a slew of swag, including Bolt's just-launched shaving cream, available in your choice of menthol or pomegranate, which you'll be tempted to eat given that you've recently been forced to give up meats, fish, cheese, nuts, legumes, and dairy products.